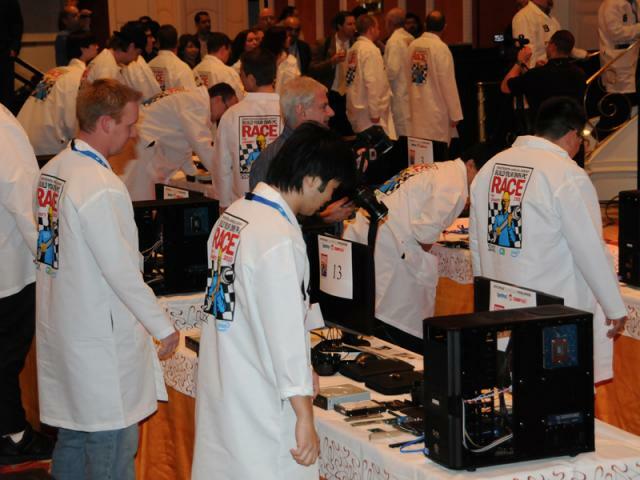 Day one of CES 2010 ended with a stop at the TigerDirect Build a PC for Charity event. This event is now in its 13th year and has raised over 2.5 Million for charity (you can find out more about this event over here). 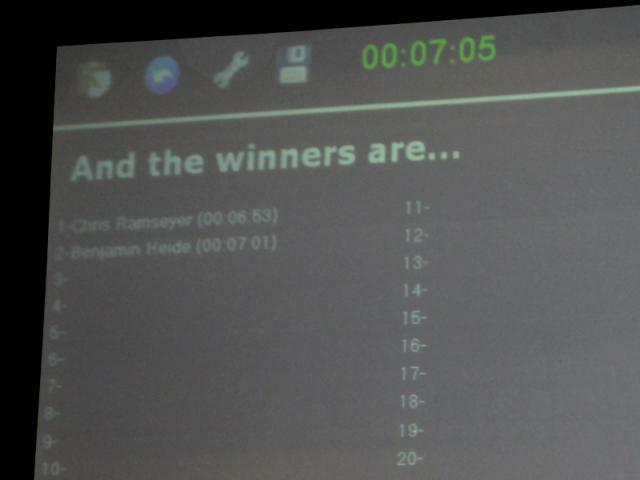 BCCHardware's very own Benjamin "Zeus" Heide was among the 30 invited industry journalists that were invited to race. Benjamin "Zeus" Heide brings home the Silver medal with a time of 7:01 seconds (only 8 seconds off the pace) and brings home his charity (Alberta Children's Hospital) a cheque for $2,500 bucks and a full high-end PC.